While the equity markets are back from 6000 levels making up for those missing trading days last week, starting the week at 6150 levels, an ongoing investor conference revealed the likely India bull among banks getting the short trade for not being able to lend in Europe. CLSA Chris Woods asserting that the challenged growth inflation dynamic has not stopped inflows into the country. Similar assertions from Barclays in the morning, who quite track to our Top dozen picks as revealed in the last two-three months (previous trades though in very similar scrips are NOT ACTIVE) underline the fatality of Indian policy as presented to the new generation by Foreign investors coming to India at the bottom of the global cycle. As we have written before India could well find a way like the Phillips cuve in Keynesian Economics to survive n the high interest Economy, but those waiting for a revival or reveling in China’s continuing misery would have realised by now that India having chosen to jump rates in October is now intractably going to ride up the spiral killing off any motivation for investment growth from the bank rates while the rate differential continues to press on the ECB borrowings and increaase pressure on the deficit. One way we still think, out of this spiral was to learn the importance of holding rates and a HOLD at 7.50% would have done the trick. 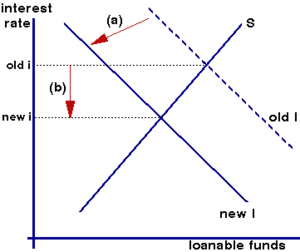 India’s diagramming in the investment /Savings trade are rather inelastic on loan fund supplies or demand in the main stem however and so growth will go on. Automobile expors are doing well again so JAnuary will be quite a celebration of the tough times with Consumer Staples (Non discretionary, food and other FMCG) able to avoid pressures to reduce margins and not pass on input costs. Last but not the leas, we are not issuing more Buys on Tata Steel but it remains a Biggie on the Buy lists and those deciding to take profits with the Domestic institutions at 380-90 levels will likely be deprived of the real cream on the cone.